The first other black woman debut novelist I connected with online was Naomi Jackson. I was so excited about her novel that I interviewed her for my own blog shortly after the book was released. Shortly thereafter, I listened to it in audio format (busy mom reading habits). The book was everything that the critical acclaim promised. When I was accepted to the Debutante Ball, I knew I wanted to invite her to join us as a guest. THE STAR SIDE OF BIRD HILL is a lyrical novel of community, betrayal, and love about an unforgettable matriarchal family in Barbados. Two sisters, age 10 and 16, are exiled from Brooklyn to Bird Hill in Barbados after their mother can no longer care for them. I wrote STAR SIDE over the course of four years in four very different places – Brooklyn, Barbados, Iowa City where I went to graduate school, and Philadelphia where I was on a writing residency at the University of Pennsylvania. Each place influenced me and, in turn, the book. I went to Barbados for a summer to research the book, and it opened up an entirely new relationship to the island where my mother’s family hails from. It was awesome to experience the Caribbean as an adult, to form friendships outside my family, and to better understand the world I recreated in the book. I’ve had a blast meeting readers and hearing their thoughts on these characters and their stories. Now, I’m looking forward to getting back to work on my next novel this fall. Seeing pictures from my three-year-old niece’s ballet class. In my bed at home reading, or watching movies and bad TV. When I was growing up, I wanted to be a doctor. There was a brief moment as a teenager when I wanted to be an Episcopal priest (I was an acolyte then & my dad’s a deacon now). Now, I get to write about priests and midwives and doctors in my novels. Most of the people in my parents’ generation were born at home with midwives. I drew inspiration from these stories when I was drawing the character of Hyacinth, the grandmother who is also a midwife. I’m not a mother myself, but while I was writing this novel, I was transformed by attending the birth of my sister’s child. I wanted to find ways to write about the truly awesome nature of that experience as well as the stories I’d heard about how people gave birth in the Caribbean before folks turned to hospital births. Yes, my dear friends in New Mexico read a first draft of STAR SIDE aloud to each other over the course of a couple months. Mailing the manuscript to them made the novel feel real. It was a real treat to hear them talk about how different that draft was from the finished book. They’re waiting on me to finish a draft of my next novel, and I can’t wait to send it to them. It’s a multigenerational family saga set in Brooklyn and the Caribbean from the 1930s to the 2000s. Even though my first readers and my agent and my editors liked THE STAR SIDE OF BIRD HILL, somehow I didn’t expect the novel to speak to so many different kinds of readers, and to be a source of both inspiration and connection for them. I’ve received a couple notes from readers who say that they were moved by my depictions of Barbados, and I’ve also met a few writers who say that they feel inspired by my work. I’m not sure why I didn’t expect this to happen, but this has been one of the more surprising and rewarding elements of the publication process. Be a reader first. Reading voraciously and thoughtfully, with an eye to what you love and dislike about other writers’ work, is essential to becoming a better writer. Also, be patient. Good writing takes time. And a village. Writing is a solitary act, but completing and publishing a book require lots of support. I have a rock star crew of people who I’m in community with, including my partner, family, friends, and other writers and artists. Staying grounded by making time for the folks I’m closest to has been an important ingredient in my happiness. In the most intense stages of writing and promoting the book, I’ve learned to make time for yoga and to allow myself small luxuries like the occasional cab ride. GIVEAWAY: Comment on this post by Noon (EST) on Friday, October 9, to win a copy of THE STAR SIDE OF BIRD HILL (US only). Follow The Debutante Ball on Facebook and Twitter for extra entries—just mention that you did so in your comments. We’ll choose and contact the winner on Friday. Good luck! 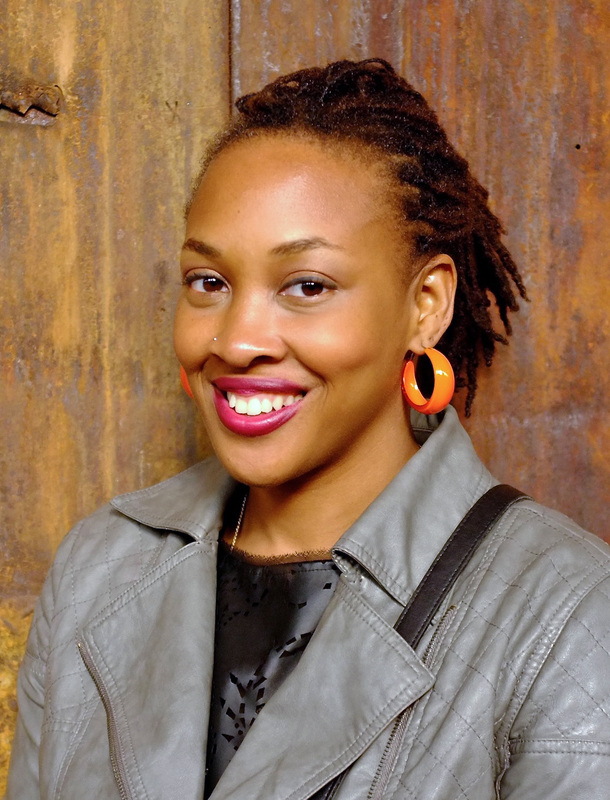 Naomi Jackson is author of THE STAR SIDE OF BIRD HILL, published by Penguin Press in June 2015. 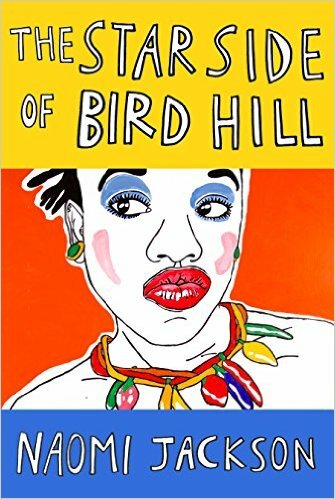 THE STAR SIDE OF BIRD HILL was long-listed for the Center for Fiction’s First Novel Prize and selected for the American Booksellers Association’s Indies Introduce and Indies Next List programs. The book has been reviewed in The New York Times, The New Yorker, Kirkus Reviews, NPR.org and Entertainment Weekly, which called STAR SIDE “a gem of a book.” Publishers Weekly named Jackson a Fall 2015 Writer to Watch. Jackson studied fiction at the Iowa Writers’ Workshop, and lives in Brooklyn, where she was born and raised by West Indian parents. Naomi Jackson can be found online on her website, Facebook, Twitter, and Instagram. Thanks for this, Naomi! You are spot on when you talk about how important it is to make time for your community, to rely on them in your time of need and to help them in theirs, but also to just spend time with them and enjoy them. It’s important for everyone, but is especially important for writers, I think.